Truly ONE OF A KIND VICTORIAN BEAUTY! AN Absolute MUST SEE! Nestled on 4 lots only 1 block to Clear Lake and 3 blocks to downtown! A wonderful combination of the old with the new improvements makes this an affordable dream home! Gorgeous woodwork throughout with a bridal stairway with quarter sawn oak! Fantastic stained glass windows! Relax and refresh yourself on the wrap around front porch or rear raised deck! This property is fabulous! Many opportunities/options...Possible Bed & Breakfast! Seller was in process of remodel of baths, attic, fountain room. Planned tear out work is in process. New buyer can finish to their taste! 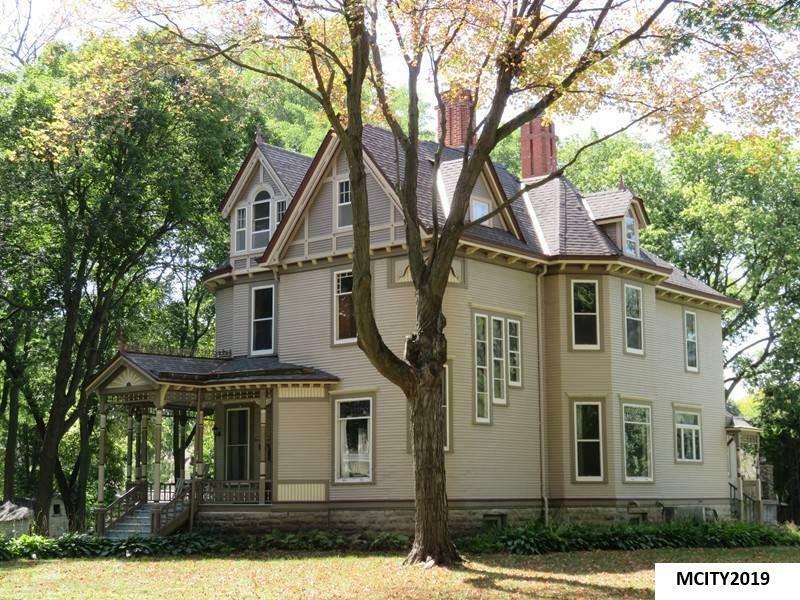 This PRESTIGIOUS PROPERTY IS LISTED ON THE NATIONAL REGISTER OF HISTORIC PLACES! Call today and make this LOVELY PROPERTY YOUR &apos;NEW&apos; HOME!